Ryan Henry, once again, proved to be the Surprise King. Ryan age 32, professed his love for his girlfriend after spending a fortune in showering her with a lavish gift. The celebrity tattoo artist came into the limelight as a protagonist in the VH1 reality show ‘Black Ink Crew: Chicago.' His specialization on Japanese tattoos made him one of the most sought-after tattoo artists in the world of entertainment and boasts over 700K followers on Instagram. The famous tattoo artist began his career after an unfortunate incident which was to change his life for once and for all. His sister, Nova and his niece aged ten were murdered by Nova’s ex-boyfriend Frederick Goings in 2009. For Ryan Henry, the loss of his sister was an eye-opening experience and left him depressed as he was close to her from an early age. In an effort to cure the trauma left by his sister’s death, he took up tattooing. He first began inking people in 2009. Working under Mia Bailey’s guidance, the Chicagoan made a name for himself as a hunk with artistic prowess large enough to eclipse his looks. As a way of paying homage to his slain sister and niece, the devoted brother and uncle opened 9Mag, a tattoo shop in 2009. He delved into filmmaking once he started gaining popularity through his tattoo arts. And his first role in front of the camera came in a documentary ‘Colour Outside The Lines’ where he was the lead character. Ryan’s first TV appearance, however, didn’t come until 2013 when the pilot episode of ‘Black Ink Crew: Chicago’ was first aired. He’s been a regular feature on the reality show ever since. A day-long tattoo session with Ryan costs around $1,000. Considering such a hefty fee, he could easily bank six-figure gross income, annually. His modeling gigs on the side, along with his silver screen appearances have contributed handsomely to his ever-so-expanding net worth. Born on May 27, 1986, Ryan Henry was born in America. Despite boasting American nationality, he does possess part-Japanese ethnicity, and it was his Japanese heritage that inspired him to take up tattooing. Not much is known of his parents as they have stayed off the public eye. The 38-year-old is the eldest of two siblings. He shares parental custody of his son, Mason with his on-and-off girlfriend, entrepreneur Rachel Leigh. The lovebirds met in high school. Soon after the completion of their high school their profile as celebrities grew and their relationship hit an inevitable dead end, only to be resurrected time and again. In late 2017, rumors of Ryan dating Kat Jackson started floating around. Rachel, the founder of luxury nail polish ‘Pear Nova,’ confirmed it by moving in with R&B singer/songwriter, Jeremiah. On 18 January 2018, their tumultuous relationship saw a new light as Ryan posted the picture of his baby-mama, Rachel on his Instagram, which surprised everyone. And before we knew it, the parents of Mason were back together. Following their patch up, Ryan decided to gift his girlfriend, Rachel with a Mercedes Benz on Mother’s Day. The latter appeared ecstatic as Ryan handed her the keys to her new whip. Anyone who follows the ink master closely will tell you: he loves giving surprises. By buying her a Benz, he may be showcasing a long-term commitment to her. With the famous tattoo artist showering his love for the mother of his baby in such a lavish way, it signals that all is well with the couple and seem ready to begin a new chapter in their life after a difficult relationship history. Ryan Henry Is Stern, Won’t Forgive Friend? 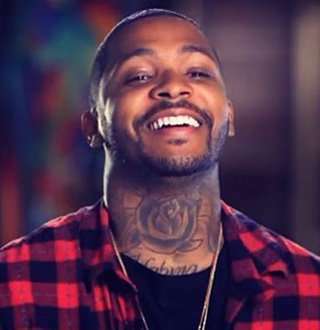 Viewers, keeping up with the Black Ink Crew: Chicago, are all aware of Ryan’s co-protagonist, Charmaine Walker, who stars as the manager in the series. The two are reputed for making drama on the episodes. And this 6th season the tension has gone over the line with a yelling business involved. Charmaine has been bad-mouthing Ryan all around Chicago for some time now, and this time the later is cross with the former pretty bad. Reportedly, Walker is apologetic for her deed (vh1.com -13 September 2018) and wants peace with Ryan. But whether he wants her apology or not shall be known by the end of season finale airing on 20 September. With the reported confirmation of Charmaine's on the way confrontation with Ryan, the season is probably going to end on a bang. Sophie Raworth, How Married Life With Husband & Work Pours Happiness! Bria Myles Age 34 Bio: Baby & Boyfriend, Engaged In Pregnancy Bliss?